Whether your repair needs are jewelry, firearms, or musical, our team of associates are equipped to handle not only simple watch battery replacements, but also more complex problems. Most repairs are completed in house and we always provide a free estimate before any repair work begins. 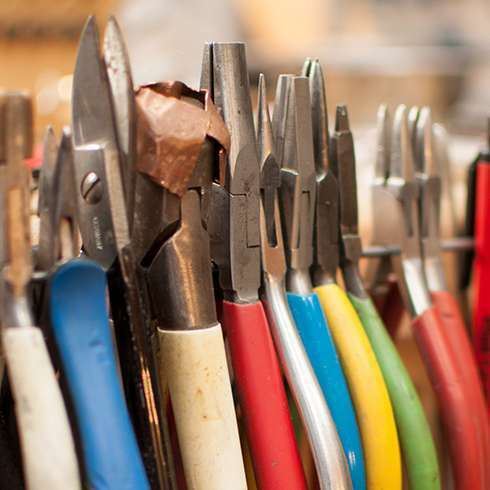 Minor repairs or adjustment to firearms are usually completed in house. More complex repairs are completed by our association with a master gunsmith. 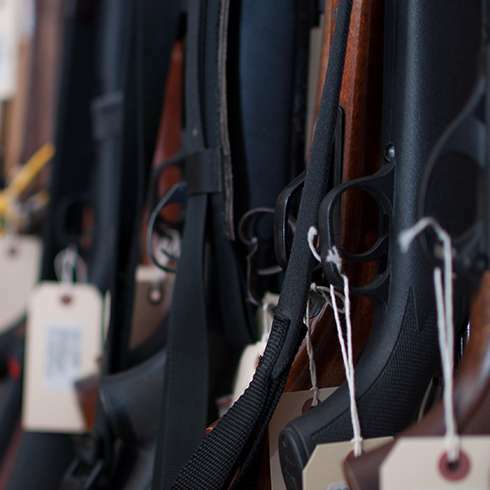 We ship firearms under warranty back to the manufacturer. Statesville Jewelry and Loan provides gem cutting services for older gems that need to be brought back to their true vibrant coloring. A short visit with John, Anne, or Mark can start the process on any type of gemstone and free estimates will be provided. This service is provided through our association with a master lapidary, a professional who polishes or cuts gems. Over time, wear may start to show on precious gems. 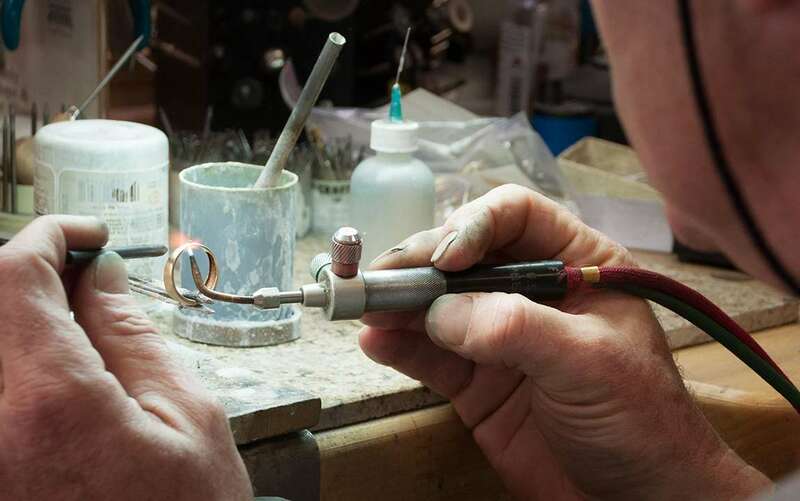 Polishing is a great way to help keep the value of a gem. Everyday products like lotion and soap can create build-up. Gemstones can also obtain light abrasions or chips over time. When this happens, a light polishing can return the original luster. This service is provided through our association with a master lapidary, a professional who polishes or cuts gems. Heirloom jewelry pieces are prized possessions with both sentimental and monetary value. Unfortunately, years of wear do take a toll on pieces and stones do become loose, chipped, or lost. 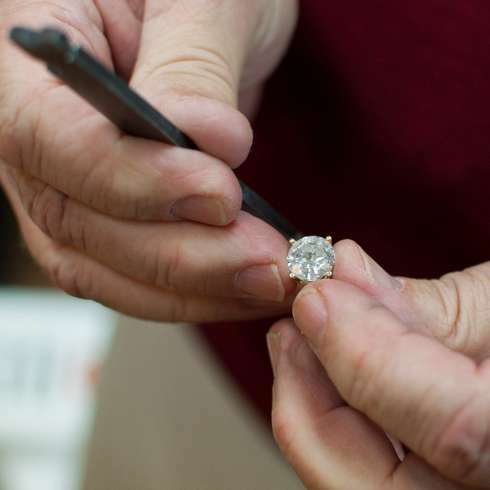 Statesville Jewelry and Loan has the expertise to adjust loose settings, repair chipped stones or provide a replacement gem. Years of storage and wear can cause a stringed necklace of heirloom pearls or charms to break down when the precious stones themselves are still beautiful and valuable. 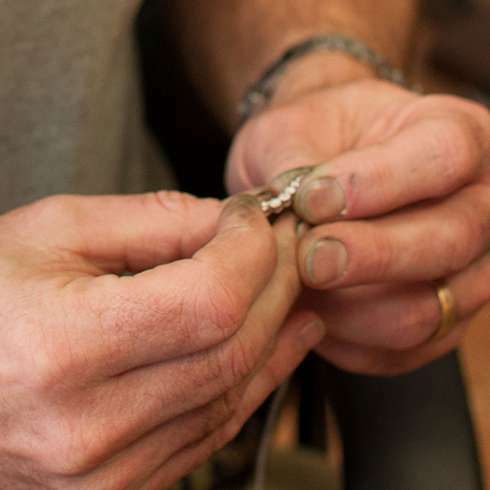 Bring life back to treasured pieces with our restringing services. In some cases, we can make simple watch repairs. 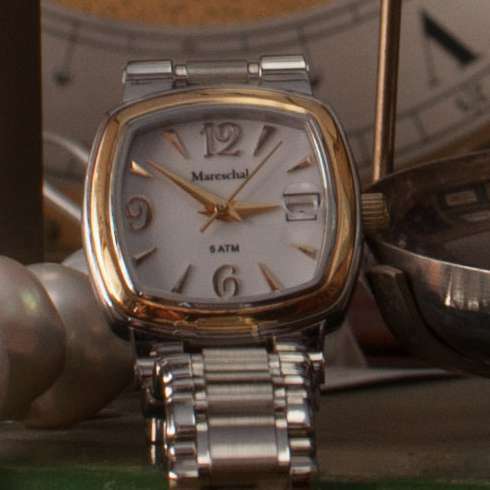 On more difficult repairs, we partner with a watch repair service, which is staffed with three professional watchmakers. Typical repairs for guitars (restringing, saddle or nut replacement) can be accomplished in house. 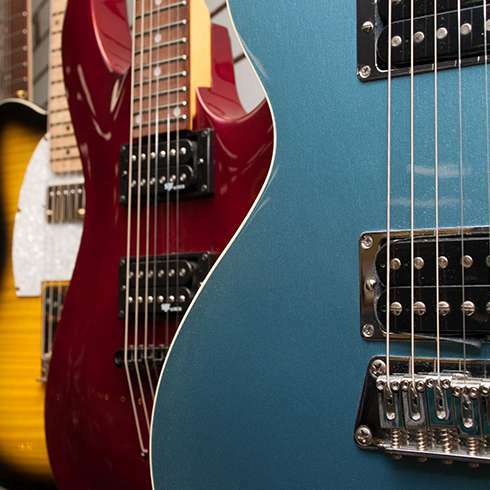 For the more difficult repairs, this service is provided through our association with a master guitar repair specialist. For electronic amps and PA’s, we employ the services of an electronic repair technician. He has repaired many items for us from the simple to the complex. 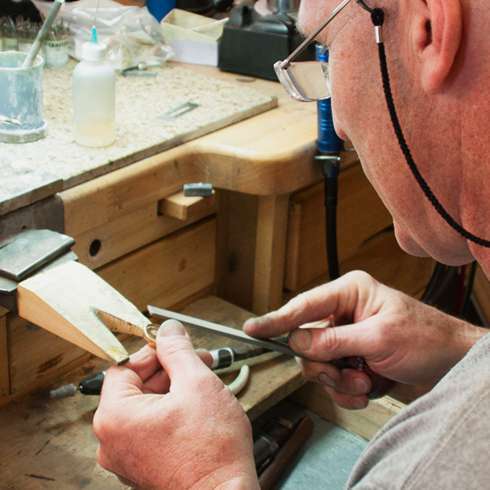 Typically, all jewelry repairs are will be completed in house and are normally ready within seven business days. More complex repairs may require additional time. Contact us today to schedule a time to meet with our team.